No Bottle - No Fill System, No Bottle - Machine Stop System. All contact parts made of Ss316 material with easy removal system for Auto-Claving/Sterilization/Cleaning. Machine construction in SS 304 material. 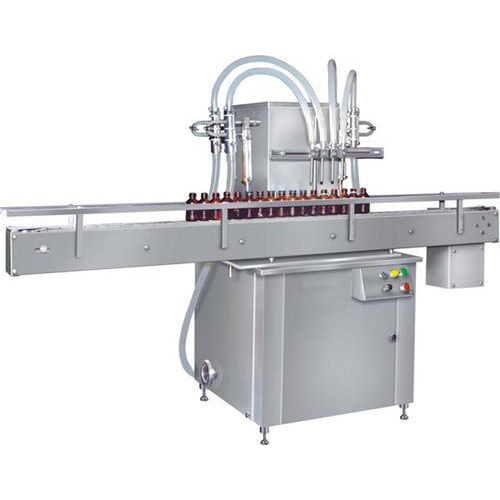 We “Jacks Pharma Machinery” are a Sole Proprietorship firm engaged in Manufacturing high-quality array of Labeling Machine, Sealing Machine, etc. Since our establishment in 1985 at Ahmedabad (Gujarat, India), we have been able to meet customer’s varied needs by providing products that are widely appreciated for their sturdy design, corrosion resistant nature and high strength. Under the strict direction of “Mr. Chirag Serasiya” (Proprietor), we have achieved an alleged name in the industry.